Wisenet provides generic templates that can be Modified, Enabled and Disabled. On the right Edition you can also add custom templates. Placeholders have a hash symbol on either side of the field name (e.g.#Client.FirstName#). When a message is created, the fixed text will stay exactly as it appears in your template, but the placeholders are replaced with values from the Wisenet record. Always test your template before using it. Note: There is a 10,000 character limit for messages. Only use placeholders that are available in the dropdown list. You cannot add your own into the body of the email as it will not collect that data. Click the Image button to insert an image. You need to specify the URL where the image is stored, for example on your company website or somewhere on the internet. 2 . Paste in the following text at the bottom of the page. Substitute your own email address for the example one. Note: To return to the normal edit mode, click the html source code button again. If you are on our Standard Edition, while you can edit the Message Template content, you will not be able to change the Message Template name if required. 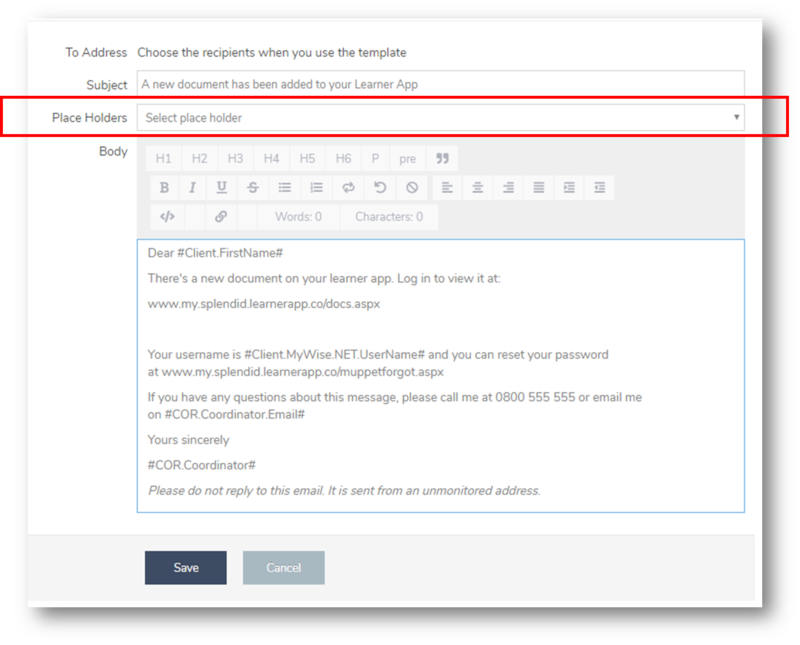 For more flexibility in customising Message Templates, please refer to information on our Premium Edition inclusions.